Aroma Audio is a Hong Kong based new company that is less than 1 year old. The A10 portable headphone amp is the company first baby, but by not mean another ‘me too’ product in the already-overcrowded portable amp market. 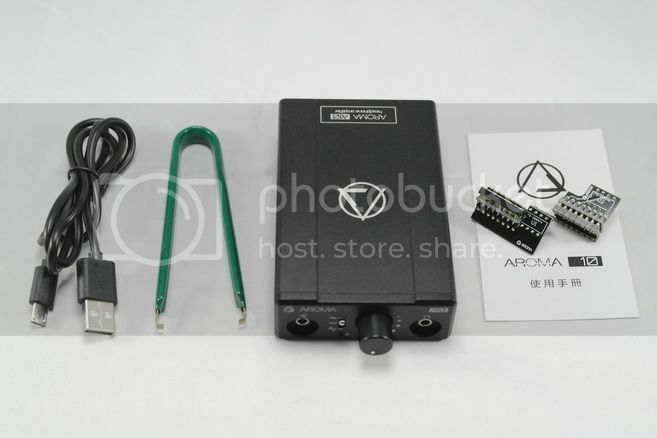 As far as accessories are concerned, there are one micro USB cable for recharging, an opamp removing tool in case you want to do some opamp rolling, as well as two opamp adapters so that you can use single channel DIP8 opamp in the A10. Build quality is pretty solid. 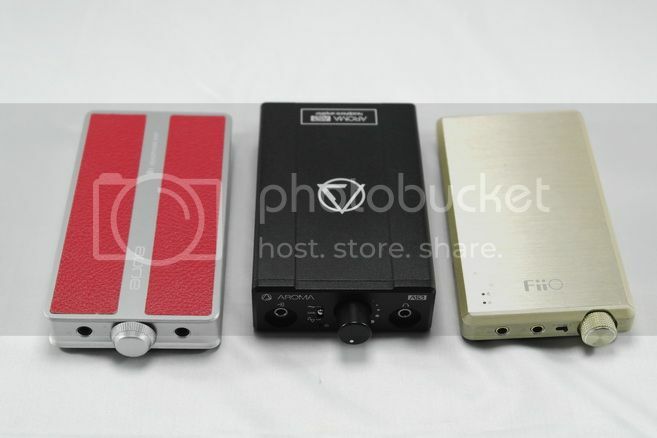 Generally small brand portable amps from China can look a bit DIY’ish, but A10’s build quality is more in line with bigger brand offering such as that of FiiO and iBasso as it is noticeable that attention has been paid to the overall finishing. Of course, given it is retailed over USD$400 (based on Taobao estimation, and can go up to US$600 in Japan), I guess it has to look the part to justify the price. 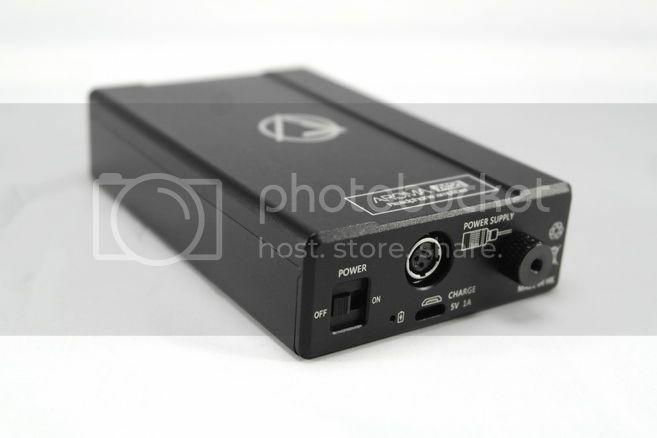 On a side note, there is also a separated linear power supply unit called PS10 that you can buy (~ USD$200+) for the A10 and really turns it into a desktop setup. I don’t have the PS10 and so we will be focusing on A10 as a portable amp, which can still be recharged via the common microUSB port. One of the thing I really like about the A10 is the two included single-to-dual-channel opamp adapters, as it is a sign care has been taken during the design phase to make sure the A10 is as friendly to opamp roller as possible and gives the amp more ‘playability’. To roll opamp, you just need to unscrew the one big nut on the back and slide the top cover about 2cm backward, then pop it out to play with the opamp configuration. Do note that A10 has an internal +/-15V dual rail power supply line (*we will discuss more about this later on) so you must ensure you are using opamp that is compatible. If you have the PS10 however, you can also switch to +/-18V to further improve its performance. One thing I’ll say that I don’t like about the A10 is the general lack of information. 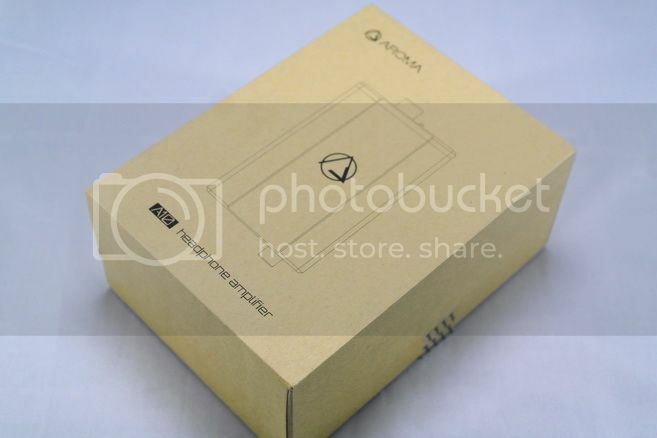 There is no detail user manual online, and the one included with the package is a bit too simple. Also, the official website is too minimalistic. 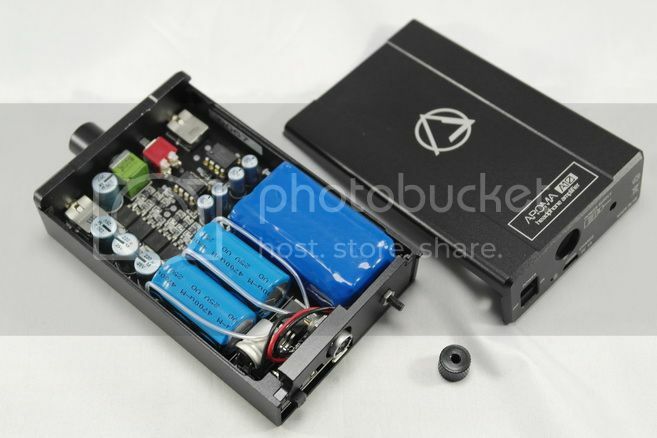 Besides Taobao (*harder for most international buyer to access) and some Japanese retailer (*way too expensive), there is almost nowhere you can find this amp. That’s a shame actually. Given the company is based in Hong Kong that is known for their worldwide commerce, I would have thought they should put in more effort in capturing the international market. There are two gain setting on the A10 – about -2dB at low gain and around 12.5dB for high gain. These number work pretty well from sensitive IEM to slightly demanding full sized headphone. The amp is also pretty much hiss free regarding of which gain setting you use. Even hiss prone IEM stays quiet on high gain with max volume. However, same can’t be said for its EMI performance as A10 gets rather loud EMI noise easily. Not only you won’t want to use it with smartphone as source, you probably won’t want to put them in the same pocket as well. Something worth mentioning is that A10 has a fairly uncommon topology on its amp circuit, so let goes over some of the detail: First of, A10 runs on dual power line of +/-15V, which is quite high for a portable amp – and as far as amp is concerned, the higher the power line the better, as long as it doesn’t compromise the SNR as stepping up voltage always increases noise. The A10 power supply circuit, as far as I can tell, seems to have done the job quite gracefully. Secondly, the A10 employs two dual channel opamps for gain stage, but both with inverted input. That means the signal goes into the first opamp’s inverted input, which then outputs a signal that is 180 degree in phase. The inverted signal goes into the second opamp’s inverted input and comes out with the right phase again. 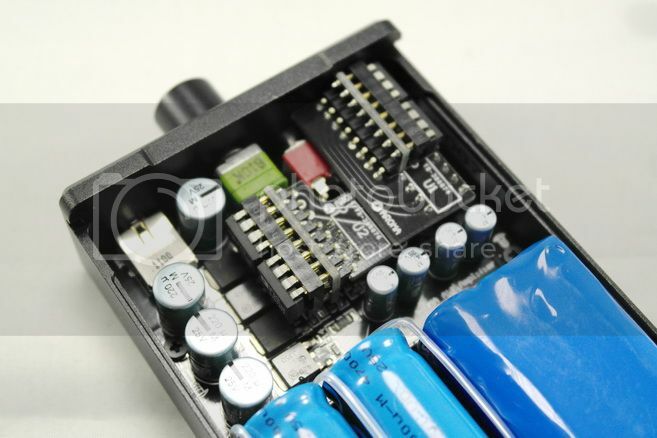 The volume control is implemented right between the two opamp stages. I am not qualified to really explain to you why such implementation is useful, but similar implementation has been found on the ‘inverting O2’ and you can find out its pros and cons if you google around. The main benefit seems to be that it lowers the distortion. Lastly, the A10 has a full discrete, transistors based output stage. It will run in Class A with high impedance load and Class AB in lower impedance load. As usual, we start our discussion of sound quality by doing some basic measurement. As far as RMAA goes, all the number looks really good. The frequency response is also pretty flat. 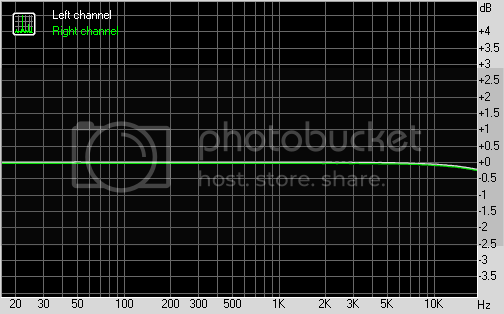 It does goes down a tiny -0.3dB when it reaches 20 kHz, but that’s a probably too small to be audible. What doesn’t measure well is the output impedance – at 7ohm, it is definitely on the high side. 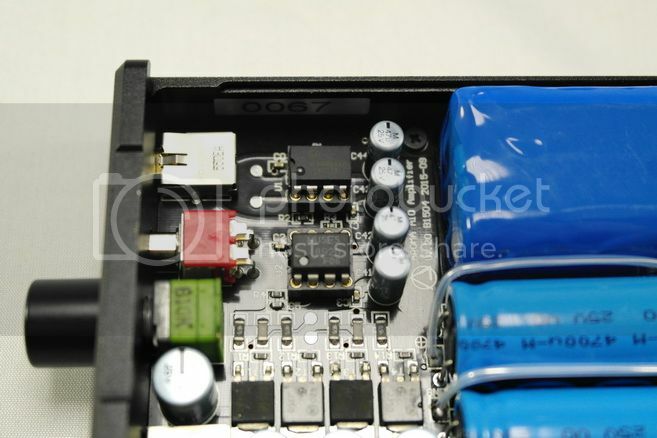 Subsequently, the output current is also on the lower side of things. Judging from the output impedance and current output, I’ll say A10 is probably best with higher impedance, single driver headphone. Anything with a crossover or very low impedance might not behave at its best. 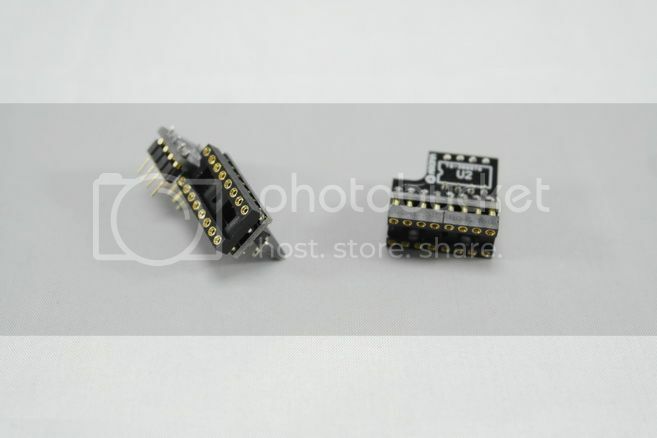 The stock opamps that shipped with the A10 are the OPA2604 for input buffer and first gain stage, followed by MUSES8920 for the main gain stage. Subjectively speaking, the stock combo sounds mostly neutral with a hint of richness and warmth, but nothing that can be referred as coloration. If I were to nitpick, perhaps soundstage can be better. While it is still quite good, it is not its strongest point. Beyond that, A10 sounds almost just as good as any top-tier portable amp I have heard – not among the best, but close enough. LME497200 – a clean, if not slightly lean sounding choice over the stock OPA2604 with better soundstage. MUSES8820 – similar to OPA2604, but with better soundstage and layering. OPA2209 – another clean sounding opamp, but balanced overall. OPA2134 – lay back, a bit unremarkable. OPA2227 – Not as good as OPA2209, but similar in presentation. MUSES01 – similar to OPA2604, but slightly better on micro-detail. OPA2209 – Decent, nothing remarkable. OPA2134 – Thick, not particularly good. OPA2227 – Good soundstage, but a bit grainy on the treble. MUSES01 – Not as thick as OPA2134, but still on the thicker side. MUSES02 – Another good choice, better than 8820. The above is just a small sample of opamp I tried, not that they are the best choice for you to start. But if there is just one opamp to replace, I’ll suggest rolling the OPA2604 first as it seems to be the main source of the richness/warmness and limiting factor on soundstage. 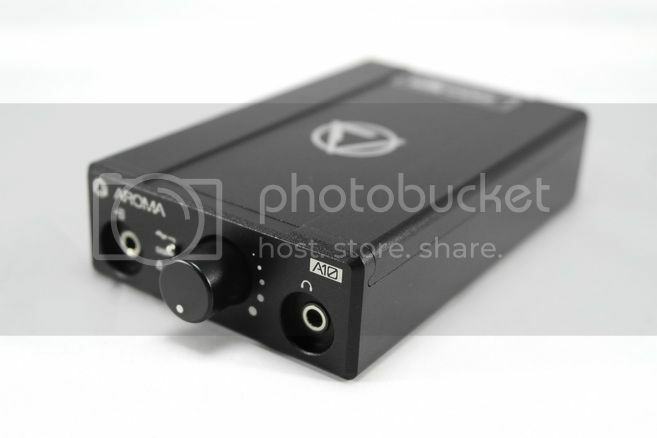 With the right combo, I certain the A10 can sound as good as any top-tier portable amp. Size comparison (from left): Aune B1, A10, FiiO E12DIY. Overall, A10 is a really good sounding amp with some solid performance, but limited by its high output impedance and low current output and therefore not quite the all-size-fits-all solution I am hoping it will be. But looking pass the fact that it probably is not a great choice for low impedance multi-driver IEM, the dual inverted gain stage and ease of opamp rolling does still make this a very interesting option if you are hunting for a portable amp. A thank to Aroma Audio for the sample.